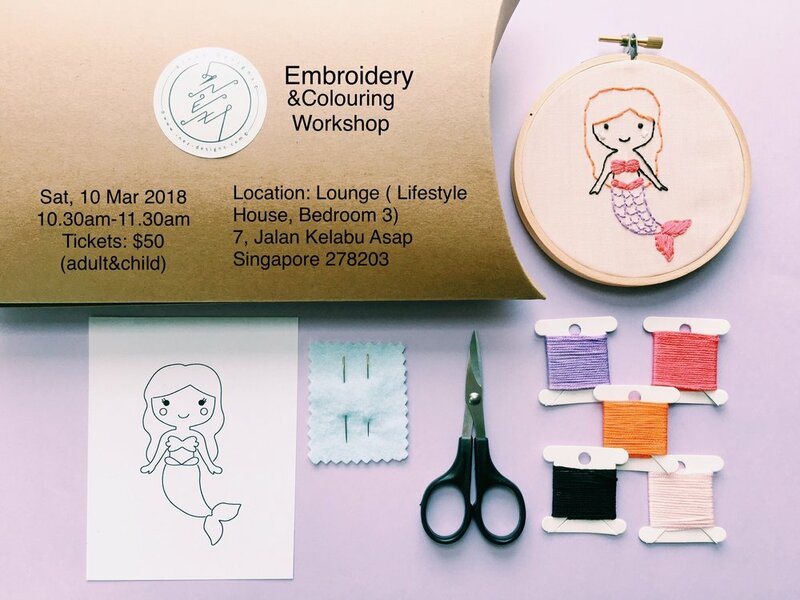 This activity aims for some fun, parent and child bonding session. Parent/child can choose a generic picture of a mermaid/pony/dinosaur or rocket. From here, kids can colour one of the choices and parents will get to embroider the same image. Everything will be prepared prior to this activity. It will be in a kit. All materials will be provided. Embroidery is fun and a great way to slow down, get cozy, and get get crafty. You can bring the finished embroidered piece home and hang it anywhere in your house. Please make payment and you can select what image you like and I will prepare for you before the workshop. Your kid gets to colour the same image. **If you purchase for a group please plan to arrive together.